A mixed bag today indeed. I was out this morning and looking up saw this cloud over the city with a shiny silver edge. I grabbed my phone, I don't take camera to church, and snapped it. The shot isn't marvellous, I was looking straight up with just a phone camera and the light was very glary, but the silver is clear. 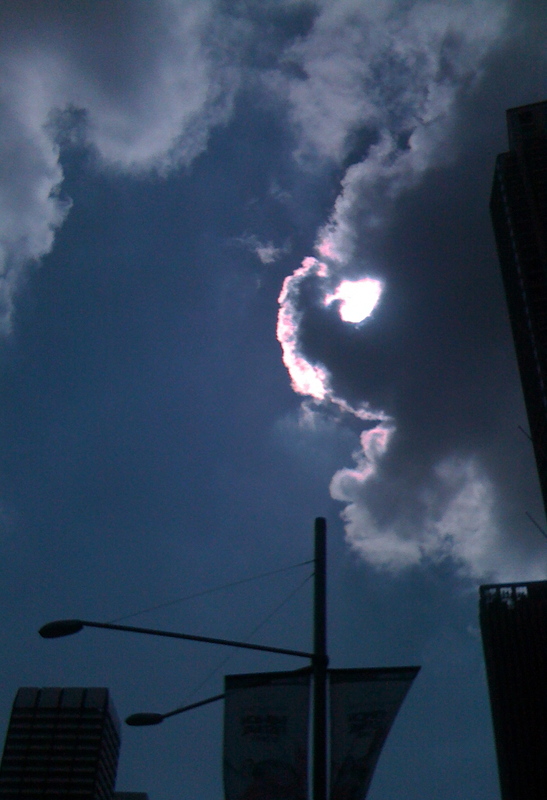 The second photo was taken about a minute later and there's a hole in the cloud with more silver poking through. I have a lot of sky photos taken lately, both with phone and camera. Some of them are very beautiful of sunsets and sunrises with lovely colours. Some of them show the sun lighting the city skyline from the west and Sydney Tower and Centrepoint as well as other tall buildings stand out against a dark foreground. Others are very dramatic. 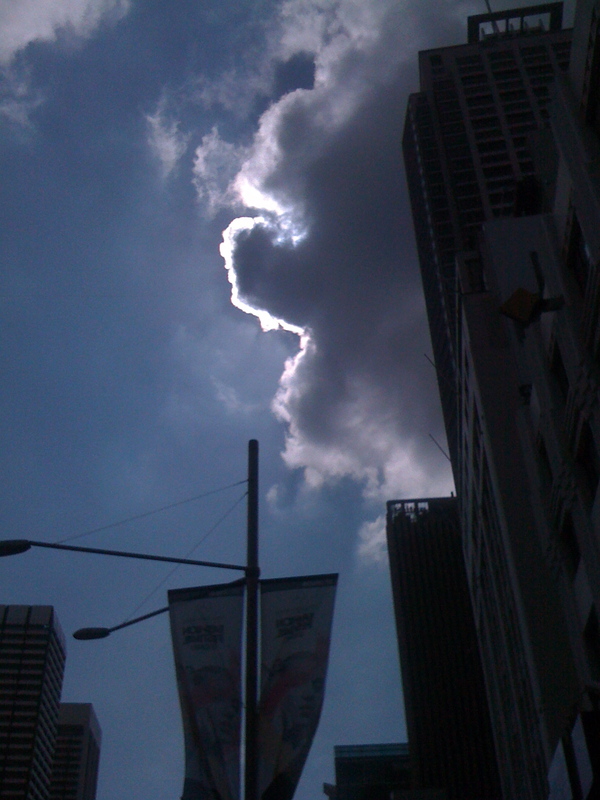 Yesterday afternoon I took one of a very dark cloud which appeared to have texture. I know clouds are water vapour, but this one seemed like an eiderdown or doona, all soft, snuggly and squishy. The sky changes so quickly that most of the time I'm not prepared and miss out on a good opportunity. Still, I try. My title about clouds and silver linings really had no meaning hidden behind it, it was just a comment on the photo. Last night I spent most of the evening re-reading an old weight loss journal which I used to keep on Angelfire. Five years worth of journalling, actually. I knew the title of it but couldn't find it in any search and couldn't get into the editor feature. Last night I tried a different way and finally cracked the password I had used and the full title which Angelfire had been using. I've always known the therapeutic value of journalling and what you see here isn't the only blog/journal I have. However, when I looked at the big picture, written over several years I was surprised to see how therapeutic it must have been. I often mentioned my online friends and the support we gained from each other. The group has split up now but I'm still in contact with some of them. Here I also find friendship and community based on various interests, mostly knitting. I see friendship and support to others here too and I'm not speaking just about myself. Much of it was interesting about my grandchildren. I did quite a lot of babysitting even then and minded my eldest granddaughter for two days a week for over a year when she was tiny. I had a good laugh at some of her deeds and sayings over that time. I went one morning with a nasty headache caused by tight shoulder muscles. I must have been a bit cranky from it , because I have recorded that she told me, "You not a happy chappy today grandma." She wasn't three then and I do remember that morning. She still has a way with words at eleven. I've been putting the Kitchenaid to work. This was dough made the day I bought it and kept in the fridge. It hasn't really become sourdough yet but it has a great flavour. It slices easily and well. I poured boiling water into a baking dish as I put it in the oven and it has developed a really crusty outer to it. Seen here from lunch yesterday of a couple of slices of bread, some olives and cheese and some fruit all eaten outside as it was mild. Very pleasant lunch it was, too. I've just made some more dough to cook later in the week. This time I've used some wholemeal spelt flour. 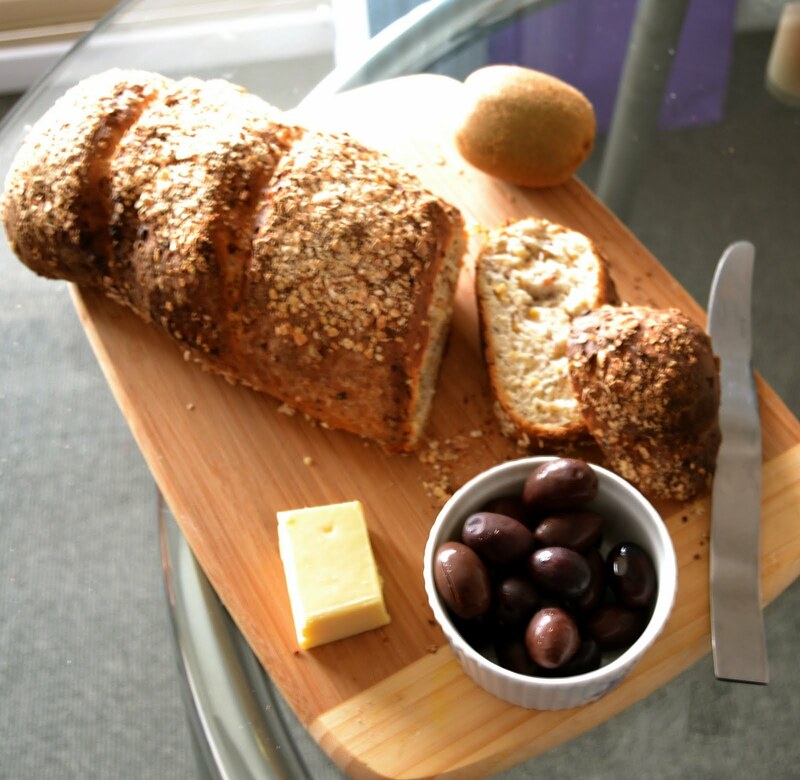 Spelt is ancient and unchanged from Roman times. We eat the same variety as they did. It has a nutty flavour and many who have a gluten intolerance can eat it where they cannot eat modern varieties of wheat. In a couple of places I've read that leaving the dough for 18 + hours also helps some and it's thought that the modern methods of hurrying dough along, and cooking from start to finish in three hours or so prevents the developing of a dough suitable for all. The hurrying holds good for both commercial and homemade dough. This seems borne out by research and experimenting but I'm NOT offering medical advice. Do some searching of your own and check with health advisor if you are intolerant. Lastly, what I hope may be a bit of a kick to my knitting motivation which seems to be sleeping somewhere. My navy blue sock is very plain and boring, the shawl I started is really not working out in the yarn I'm trying. I've sent off all the little alligators I was knitting and have done hats for all my sons bar one. Ailsa, Knitabulous, is kindly dyeing some more wool for me for that one. I had ordered some of her lovely yarn, two skeins and asked about some in black. She emailed me and is now doing some. 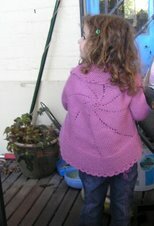 I love her service and the yarns are beautiful too. I was in Kinokuniya late this morning and looked at the knitting books. I have quite a few lace books but not this one. Lovely patterns there and not s expensive as I had seen some time ago. The Nicky Epstein is copyright this year and has loads of interesting things in it. Cables, ribs, i-cord edges and more. I would not have chosen the colours she has for the samples, but they definitely show the patterns and stitches very clearly. I've found a cable there which I might use as the base for son's hat. 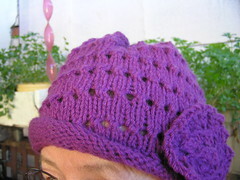 Joined and then pick up the stitches around, somewhat similar to the Coronet hat from Knitty. I've made several of those. This one was about $25. I'e been very careful over the last four years about buying books of any sort. I had nowhere to store them. Have bought some but have really been very restrained. Last week I ordered six sets of glass and chrome shelving and two other shelves as well. They'll hopefully display whatever my sister has sent from mum. I had a call yesterday and they'll be delivered on Tuesday, so I can begin unpacking. I've enlisted DIL's help. Give her some lunch and I'm sure the job will be done in basically a day on Wednesday. She's great at that sort of thing. Enjoy unpacking the stuff your sister has sent - I hope it's all to your liking and brings back many fond memories. Your blog wouldn't let me comment earlier, it is behaving now!! I agree wholeheartedly about the friendship and support found online. It is a great thing!! Wow, that bread looks delicious and your lunch looks yummy!! You will be very happy when you can have your books around you. I like just looking at all the covers and spines and thinking about what is in them. I've borrowed Nicky Epstein books from the Library and they are very interesting. Hope you find your sock enthusiasm soon. My next socks are grey, I think, and much easier on the eyes! !